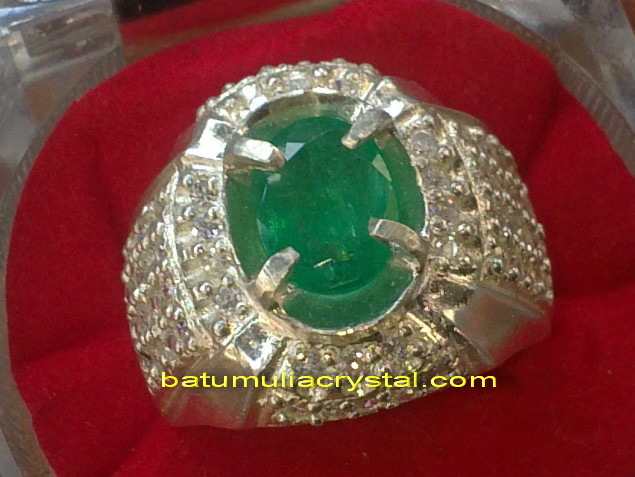 Emeralds tend to be one of the most wanted gemstones in Indonesia, and probably also in the world. Emerald in Indonesia is called as "Zamrud". This green colored gems has the most beautiful green color compared to others green colored gems. A perfect emeralds without inclusions on a big size more than 5 carats are very rare. This makes Emerald as one of the most expensive gems in the world. 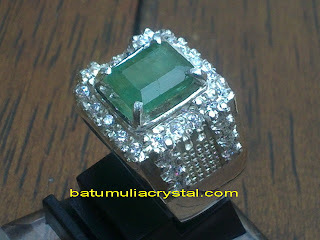 Today, good quality emerald are usually more expensive than diamond. The word emerald originates from the old Greek words 'smaragdos' which is simply means 'green gemstone'. This beautiful gemstone has been mined by the Egyptian around 3000 B.C. The famous old emerald mine from Egypt called 'Cleopatra's Mines'. In the old time of South America, Emeralds are regarded as a sacred talisman. Now-days, some countries of south America produce the most beautiful emerald such as Colombia and Brazil. Some African countries, Zimbabwe and Zambia, also produce fine emerald, but usually the prices are cheaper than South American emeralds. Emeralds are commonly treated before the cutting process. The most common treatment for emerald is oiling. The raw emerald crystals after unearthed will be directly cooked with a cedar oil. The hot cedar oil will easily enter into the small fractures of the crystal. After cooling down, the oil will make the precious gems stronger during the cutting process. 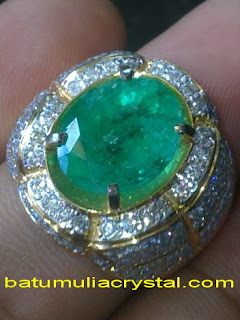 Many African emeralds get CE treatment, Color Enhanced. This treatment makes the emerald has beautiful green lustrous color. The oiling treatment is already accepted by gems collectors. Emerald without any treatment is very very rare and will easily to break. Therefore, precious emerald must be treated carefully.